Died: 16th November 1918; age 35; Died – 45th Casualty Clearing Station. 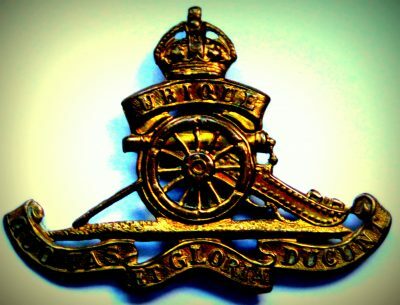 Regiment: Royal Field Artillery, “B” Battery 87th Brigade. Relatives Notified & Address: Son of Mr. H. Taylor, of 24, Hawes Street, Stoke, Ipswich. Bertie was 6 years old and living with his parents & siblings. Henry Emmerson Taylor, 41, a Ship’s Cook & Steward, born Cretingham, Suffolk. Ellen Taylor (nee Harris), 42, born Belstead, Suffolk. Harry Edmund Taylor, 13, a Van Boy – Fruiterer, born Ipswich. Gertrude Ellen Taylor, 9, born Ipswich. Ernest George Taylor, 8, born Ipswich. Edith Florence Taylor, 7, born Ipswich. Archibald Taylor, 5, born Ipswich. Percy Taylor, 3, born Ipswich. 1901 4, Lidford Terrace, Foxhall Road, Ipswich. Bertie was 16 years old, a Brickmaker’s Labourer. He was living with his parents & siblings. Henry, 52, a Yacht Steward. Ernest, 18, a Railway Carman. Archibald, 15, a Pawnbroker’s Assistant. Frederick Charles Taylor, 7, born Ipswich. 1911 77, Henslow Road, Ipswich. Bertie was 26 years old, a Hay Merchant’s Carman & ex Soldier. He was living with his mother & brothers at the home of his married sister & niece. Edith Pipe, 27, a Laundress. Edith Pipe Taylor, 4, born Ipswich. Percy, 23, a Baker & Confectioner. On the 1911 census at 88, Spring Road, Ipswich, Bertie’s father Henry was 62, a Ship’s Steward & Waiter, and brother Ernest, 27, worked at the Spirit Vaults at Cobbold’s & Sons, Ipswich & ex Army were boarders at the home of 25 year old Coachman, Frank Youngs & his family. Bertie’s father Henry Emmerson Taylor died, 1918, Ipswich.